A Russian news outlet Sputnik published a report a while back stating that the Mujahideen of Islamic Emirate have clashed with Tajikistan border forces in the country’s northern Kunduz province. Our report in this regard – following an investigation – revealed that about 15 days ago, a group of smugglers tried to move banned substances into Tajikistan border via Kunduz but were engaged by Tajik border troops. This incident has no ties with the Islamic Emirate and neither are the Mujahideen of Islamic Emirate allowed to create problems with border troops of neighboring countries. We strongly reject these reports delivered by whatever source and assure all our neighboring countries that the Islamic Emirate does not have any intention of harming its neighboring nations. However the border area between Kunduz and Tajikistan is very dense and can be misused by smugglers. 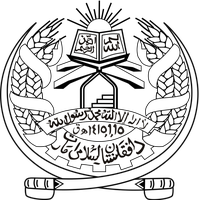 The Islamic Emirate will try its utmost to fulfill its obligation in preventing illegal trafficking in the area.